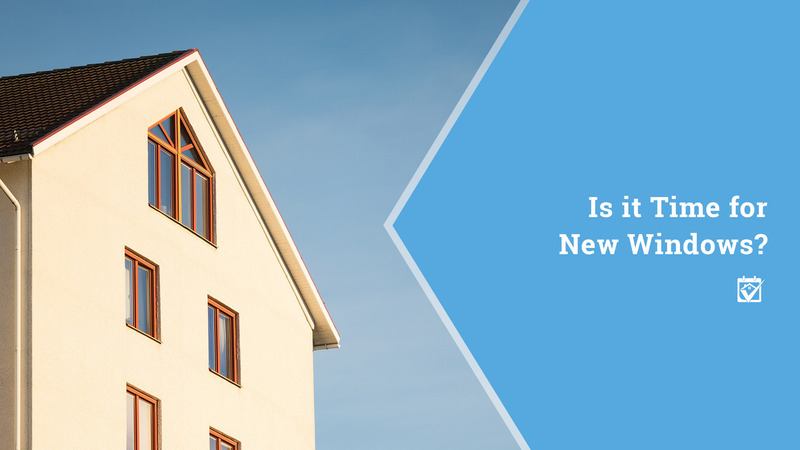 Is it Time for New Windows? Whether you just bought your home or you’ve owned it a while, it can be easy to overlook the windows that open it up to the world, as if they didn’t even exist. Even if you don’t, you probably know that a lot of glass and natural light is awesome, but it comes at a cost. As windows age and homes settle, windows can distort ever slow slightly. It’s not enough that you’d notice, at least until the first cold blasts of Arctic air are blowing into your home. Short of waiting for a major blowing snowstorm, how can you tell if it’s time for new windows? We’ll walk you through it. Read on, reader! When it comes to the big things in your house, windows are pretty huge. On the hassle scale, replacing windows is up there with a new roof or trying to retile the busiest room in your home. Unfortunately, these are all jobs that you’ll eventually need to tackle, but sometimes you can make repairs rather than start a replacement project that will eat up your money, your time and turn your home into a construction zone. Are your energy bills climbing or already high? A significant rise in your utility bills over the last year, or even five years, that comes from an increased use of power or gas and not simply a rate hike means you’re leaking somewhere. Windows are often the culprit. If you can borrow an infrared camera, you can track exactly where the energy loss is coming from. If you don’t have a friend with such fun toys, many home pros offer this service. Check HomeKeepr for a referral. Can you hear your neighbors when you’re indoors? Cars, kids and pets, they’re all part of living in most communities, but they also make a lot of noise. Good quality windows will help reduce the volume, though none can block noise entirely. If you can hear your neighbor’s car like it’s in your own driveway, you definitely need to consider a window replacement. Do you wake up to condensation between the window glass panes? A small amount of condensation isn’t really anything to worry about, but when it’s widespread or happens every day and hangs around for most of it, your window pane seal has probably been compromised. Sometimes you can contact the manufacturer or the reseller where the window came from and order a replacement pane, but they can be difficult to install and costly, which is why many people choose new windows at this stage. A window with a busted seal is one that’s costing you serious cash. The air trapped between those two (or three) panes of glass act as insulation, reducing the rate at which the window cools. Is there extensive damage? Sometimes the damage to your windows can’t really be seen until you open them up, examine moving parts closely and, when necessary, remove some trim to look for rot that’s hidden inside the wall. Small sections of damage can sometimes be repaired, but larger areas indicate that you need to fix whatever cause the damage in the first place and then replace that window with one that’s new and healthy. What if My Windows aren’t Damaged? Winterizing. Go around the house and seal up all the nooks, crannies and cracks you might find. A new bead of caulk around each window and door and along all the trim will help reduce drafts. Sticking up window insulation film. For a temporary fix this winter, you can install window insulation film on the cold windows in question. When installed properly, you can barely tell there’s anything between the room and the window. Installing heavy curtains. Like a warm blanket on a cold night, a thick insulating curtain can help reduce both heat loss and drafts. The only catch is that you have to keep them closed, which can make your cabin fever burn this winter. Do You Know Who to Call for New Windows? When it’s time to put new windows in your house, you don’t have to look any further than your HomeKeepr community for a window installer that you can trust. After all, your real estate agent recommended their favorite subcontractors, people they know will do a professional job each and every time. Come see who’s waiting to help you in the HomeKeepr community.  The Hills Real Estate Team of Keller Williams Realty is here to help you with all of your real estate needs. With our combined 40+ years experience in home sales and negotiations and a vast knowledge of these areas, we are the team to help you sell your current home and/or buy your forever home! Because we have a team at our hands we are more diversified, experienced and qualified to handle any real estate situation. Our education and experiences help us offer more specialties than any one person could. To learn more, please visit our website at http://www.blackhillsproperties.net/meet-the-team. Please feel free to contact us via call, text or email at anytime. We are always open and available to help you no matter what your question or situation is.